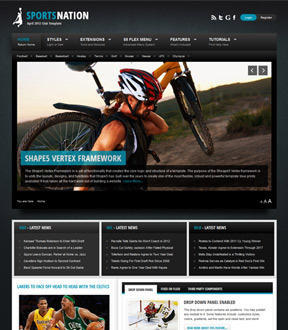 Looking for an exquisite and professional Joomla Template to display the latest sports news or just any general content? Then you’ve found it! Sports Nation is a one of a kind template with beautiful aesthetics and many options including light and dark styles plus your own custom highlight color; allowing you the flexibility to create your exact look and match any type of content to this template!